With its sturdy bow, high masts, and decorative hull, it looks like something out of a Pirates of the Carribean movie — yet, it’s docked right in Honolulu Harbor. I’m talking about the 138 year-old sailing ship, Falls of Clyde in Hawaii, which has been docked in the harbor for more than 50 years. According to Hawaii News Now, the state is ordering the landmark ship to leave the harbor due to safety and security reasons. The news station reports that Falls of Clyde in Hawaii was supposed to be scuttled in 2008, but escaped that fate. However, the state now says the ship’s time is up, and it’s time for it to go. 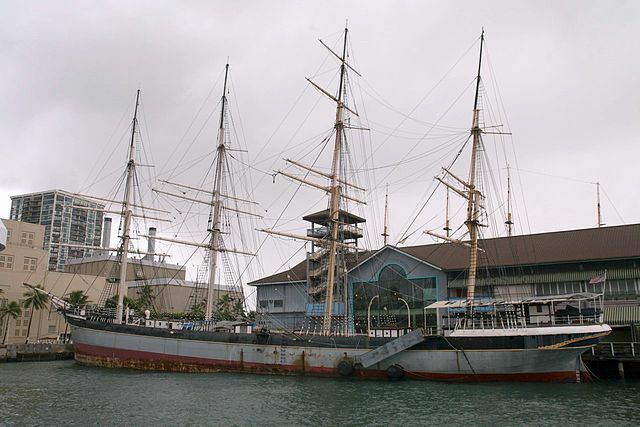 The Falls of Clyde is a 138 year-old sailing ship that's been docked at Honolulu Harbor for more than 50 years. The state sent a notice to Friends of Falls of Clyde and posted copies on the entrance to the historic but deteriorating sailing vessel, according to Hawaii News Now. The notice cited safety and security reasons for terminating the permit allowing the ship to moor at Pier 7 and said she was no longer authorized to be in the harbor. And, apparently, the state means business. The station reports that the notice gave until Saturday for the ship to be removed or be impounded by the state, which could sell it to a new owner, which could sink it at sea to become part of an artificial reef. But, getting the ship to a stable condition could prove challenging, at best. According to the news station, Falls of Clyde has been deteriorating since it was saved from scuttling. The spars that held the sails and rigging on lie on a rusty deck. So, the group has put in relatively new pumps to keep the ship level on the water. 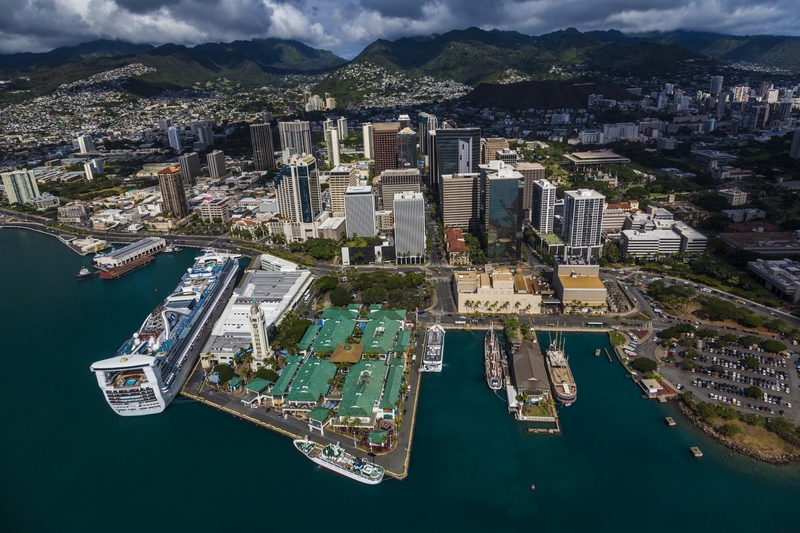 For decades, the Falls of Clyde has graced Honolulu Harbor next to Aloha Tower. Still, McEwan said the group will need at least one more year to raise enough money to get the ship into dry dock. Friends of Falls of Clyde is still fighting the order, and is trying to get more support from donors and public officials. “We’ve already put Harbors (Division) on notice that if they’re going to stick with the impoundment that we have property aboard the ship that isn’t going to go down with the ship or isn’t going to go with a new owner,” McEwan to the station’s reporters. The news station reports that, even with the threat from the state, Friends of Falls of Clyde insist the ship is not going down without a fight. Still, if you’re visiting Hawaii or have an upcoming visit planned (soon), you may want to take a detour to Honolulu Harbor to see this historic vessel. Or, book a Hawaii 5-0 Locations Tour and ask if the tour will make a stop at Aloha Tower, which is located right next to the harbor. That way, you can see the ship in the event it must move. We’ll be sure to post an update on the fate of this historic ship, so stay tuned!